B2B companies have traditionally sold their products via a long sales process with multiple stakeholders and purchase influencers culminating with a handshake and a written contract. These days, that just doesn’t cut it. Buyers want to take care of business quickly, with one or two clicks, rather than back and forth calling or emailing. B2B commerce has evolved – and in order to keep customers happy and maintain revenue growth – you must too. Now, we know that B2B eCommerce can often be more complex than B2C eCommerce. B2C sales usually entail fixed prices and straightforward information. With B2B, that’s not necessarily the case. Some companies sell products that are too complex to be sold online, and that’s ok. eCommerce websites can do more than complete a sale. They serve as sources of information (about both the products and the company) and can help walk buyers down the purchase path. It’s no surprise: B2B buyer preferences have changed in recent years. The rise of online shopping and technology usage continues to grow at a rapid pace and people seem to be in agreement: B2C retail practices have influenced customer expectations. Those practices, namely personalization, online catalogs, and SEO continue to be the top three B2C practices that influence revenue for B2B companies. So if the buyer preferences have changed, why hasn’t your B2B company adapted? SAP Customer Experience states that business buyers are planning to make 55% of their work purchases online within the next two years. If buyers need a product, they expect to be able to compare prices or information quickly. eCommerce sites allow this information to be shared immediately, and (if feasible for that specific company) allow for an order to be processed shortly after. In order to stay relevant in the ever-changing sphere of commerce, you have to stay up to date on what the customer wants. In this case, they want company and product information at their disposal at all times. Traditional purchasing methods simply aren’t as efficient as eCommerce. Technology eliminates the need for informational pamphlets or booklets, and in doing so, simplifies the buying process. When customers are able to visit a website and get almost all of the information they need, it speeds up the purchase process. Plus, if orders can be completed completely online, then errors from handling multiple orders are reduced. It’s convenient to complete a purchase at the snap of a finger, and even more convenient to be able to track a purchase instantaneously. 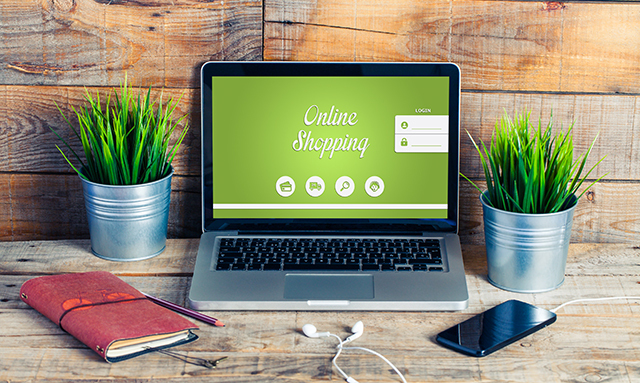 In the past, upgrading to an e-commerce business was a long and arduous process. Now days, platforms have been updated to make the switch more palatable. There are agencies, such as InteractOne, whose sole purpose is to migrate clients onto the best possible platform for their mission and products. Though a significant project (like a new site build) will take a fair amount of time and be a financial investment, it’s worth it when taking into account the boosted revenue and satisfied customers. Outsourcing help for a big project like a migration or site build is usually a good idea. It grants the customer the flexibility and focus to keep their company the main priority while allowing them to get the help they need from trained and experienced developers. Take a look at your competitors. Have they already launched an eCommerce store? If so, you probably already know the answer to this one. Companies who have already launched on an eCommerce platform are likely capturing some of your business. Buyers are using their knowledge and experience with eCommerce and have begun incorporating it into their work lives, welcoming the simplicity it brings them. And if they haven’t, get ahead of the game! Don’t be afraid to trail blaze – competitors will most likely follow in your footsteps shortly or immediately after. Company account management: Supports sales for companies with multiple buyers or differing organizational structures. Self-service tools allow customers to track their quotes, orders, and credit without having to fax or phone you. Custom catalogs and pricing: Allows for custom catalogs and price lists to ensure unique contract terms are supported online. Quick ordering: Quick order forms, requisition lists, and easy reordering make online purchasing easy and efficient. Mobile-ready sites: A mobile-first strategy is obviously important. With a fully responsive Magento site, orders can be taken on the go at any time. If you are a B2B company looking into the possibilities that eCommerce can provide for your company, feel free to contact us today or feel free to check out some of our experience working with B2B companies.